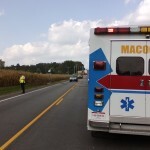 October 2nd, 2013 (West Liberty, OH) – A Macochee EMS ambulance crew responded to a single-vehicle accident at approximately 3:30 p.m. today. 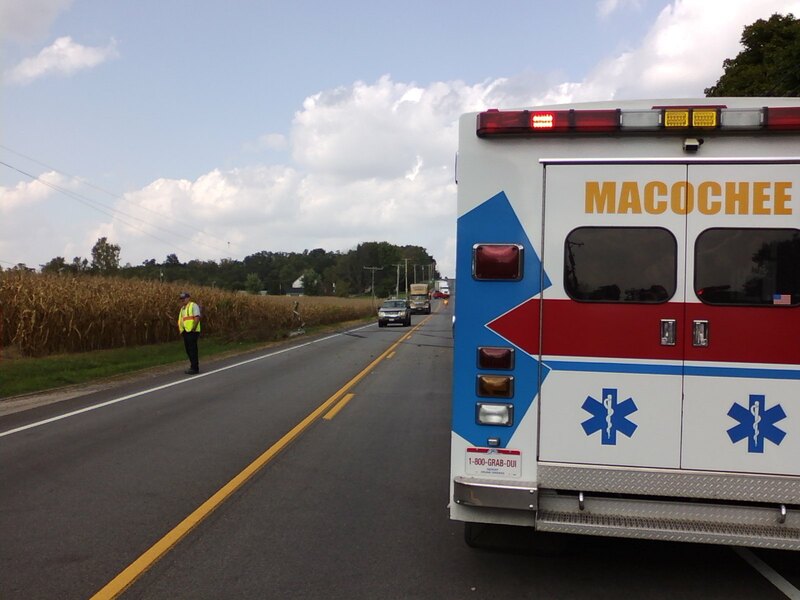 The accident occurred in front of 5230 US 68 S, just south of the intersection with County Road 30, between West Liberty and Bellefontaine. 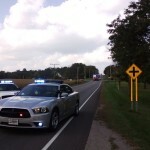 The accident involved a single pickup truck, driven by a 45-year old male resident of Alger in Hardin County. 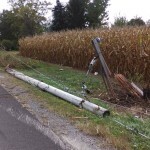 The south-bound truck, pulling a flat-bed trailer, went off the right side of the highway, and broke off a power pole, bringing down the lines. The driver then over-corrected and skidded around such that the truck wound up facing north-bound on the opposite side of the road. 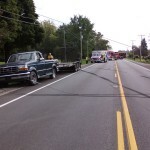 The truck suffered damage from the jack-knifed trailer, as well as a blown tire. In spite of the potential for a serious injury, the driver and sole occupant of the pickup truck was unharmed in the incident, and declined transport to the hospital for further assessment. 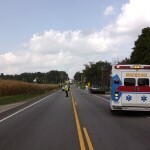 No other vehicles or persons were involved in the accident. 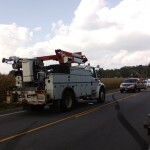 Due to the downed power lines, traffic had to be detoured for nearly two hours. 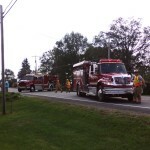 Also responding to the incident were the West Liberty Fire Department, the Highway Patrol and Dayton Power and Light.